“Black boxes” have completely revolutionized the way trucking companies can monitor the activities of their truck drivers. They’ve also revolutionized the way truck accident lawyers litigate serious crash cases, as black boxes may likely help prove your case and discredit the defense. The term “black box” is thrown around a lot these days. It can refer to electronic log systems, electronic data recorders and electronic control modules systems. Black boxes are usually equipped with global positioning systems (GPS) and can be an important source of information about the truck and its journey. They accurately record a driver’s daily duty status and hours on the job. So many preventable truck accidents are caused by drivers working beyond the regulated hours of service. And if you ask any experienced truck accident lawyer, he will tell you that many drivers and companies routinely falsify driver logs. Because of this widespread cheating, the fake driver logs are often called “lie logs” throughout the industry. If you end up filing suit against a truck company that employs black boxes, you must include black box and other electronic data records in your discovery requests, even if the company supplies you with copies of the truck driver’s handwritten driver logs. Send a preservation of evidence letter (also known as a spoliation letter) via certified mail to the motor carrier, notifying it that black box data is required to be preserved for litigation. Also request that the truck not be moved or repaired as the event recorder can be erased or recorded over before it is downloaded. If necessary, file a TRO. Whatever you do, preserve that evidence before the other side can destroy it. This is a great way to fact check a truck driver’s log books. If you find that the trucking company refuses to produce this data because it has either been “lost” or “destroyed,” you can demand the back-up copy that the FMCSA now requires be kept somewhere other than on the truck’s on-board computer. Remember, this must be updated each month. The information is out there to win your case. For additional, detailed information on how to obtain black box data and use it to prove your case, read my web page on black boxes. In effort to be become compliant with hours of service regulations, some trucking companies, especially some of the larger motor carriers, have now implemented the use of these electronic on-board data computers. * Warn the driver visually and/or audibly that the device has ceased to function. * If the device is not functioning (or simply turned off), the trucker must hand write his daily logs for the current day and any of the past seven days that the driver is missing records until the device is once again activated. * The truck company must also maintain a second, back-up copy of the electronic hours of service files, by month, in a different physical location than where the original data is stored. I previously stressed that the information you need to prove a truck driver was negligent and therefore caused a serious truck accident is out there. But please remember that this invaluable information is only out there for a short period of time. That’s why a truck accident lawyer must start the truck accident investigation fast. I normally don’t encourage people who’ve been injured in a car crash to go out and hire lawyers, but trucks are different. There is so much critical information that can be destroyed – quite legally and intentionally. This information is so critical to winning a truck accident case, that I believe these cases require a lawyer to be hired immediately. For example, by law, trucking companies can destroy black box data (and other vital records such as log books, receipts and pre-trip inspection documents) after 60 days. It’s not unusual for Michigan trucking companies to destroy or ‘lose’ important documents that proved their negligence and/or hours of service violations to avoid financial responsibility to the people they have seriously injured or killed in deadly truck crashes. My series on “Rules of the Road” for truck accident lawyers will continue Tuesday, with a blog on fatigued truckers. – Steven M. Gursten is recognized as one of the nation’s top attorneys handling serious truck accident injury cases. He serves on the board of governors for the Association of Plaintiffs Interstate Trucking Lawyers of America. Steve is past-president of the American Association for Justice Truck Litigation Group. 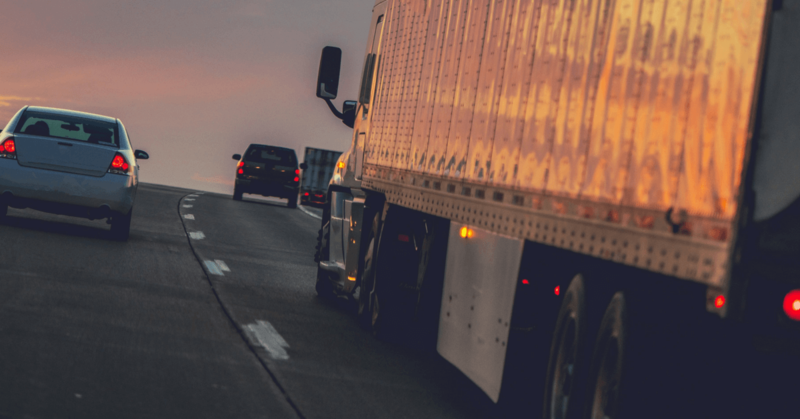 Recently, he was named a Michigan Lawyers Weekly Leader in the Law for his efforts to promote truck safety and his help in stopping preventable truck accidents in Michigan. Truck Lawyers: Get Your Hands on Those Discovery Documents!